Why is SEO an important element of your digital marketing strategy? Even if you’re using paid ads as part of your overall strategy, ensuring you have multiple streams of traffic to your website will safeguard your business. When you’re using paid ads, there are elements you can’t control. For example, the cost of ad placements could go up or your ad account could be suspended. Having other sources traffic guarantees that you always have a consistent flow of traffic to your website. Traffic that comes in organically is free. So, if you continuously deliver a website visitors love, Google will keep sending traffic your way. 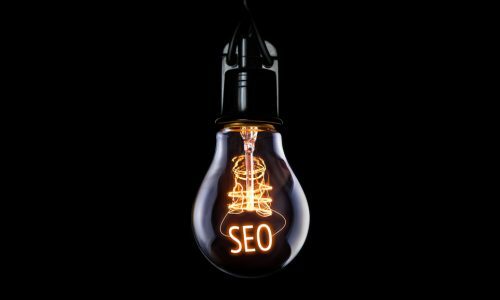 SEO is one of the most underrated pillars in digital marketing, mainly because of the challenge to keep up with Google’s changing algorithms. Businesses ebb and flow. There may be months where you don’t have the budget for paid ads. But if you optimise your website for SEO, you can create a consistent stream of traffic coming in without doing much work. It’s a long-term strategy that requires constant improvements to your website, and a stream of content that your website visitors love. Whether you offer your services online or offline, your potential customers are probably doing their research online. A solid SEO strategy ensures you appear in Google when people type in keywords related to your business. Provided your keywords are relevant, people who find your website are likely to actually be interested in your products or services. Google has about 200 ranking factors to determine where a website is shown in any given search. Some of these ranking factors involve creating content that users will engage with. Whether or not you choose to integrate SEO into your digital marketing strategy, having a current website that creates a good user experience is a necessity. Google will always drive traffic to the websites that offer its users the best experience. An increase in website traffic won’t mean much if it doesn’t generate the leads and sales you need to grow your business. When your website is fully optimised, you could increase website conversions without the additional traffic. Let’s say your website attracts 500 visits a month but only 1% of those visits will actually fill in a lead form or make a purchase. To double your sales or leads, you’d need to double your website visitors. But if you improved the checkout experienced or made it easier for potential leads to find you, you could potentially get 2% of those visits taking action without increasing your website traffic. As much as 92% of people searching on Google will not go past page one of results when they’re doing their research. This means that, if your business is not on page one, your potential customers could be going to competitors with an SEO strategy in place. There are two ways to get your business on page one of Google: paid Google Ads and organic search. Google Ads can give you the immediate visibility you need while you’re rolling out your long term strategy with SEO. People visiting your website may not be ready to make a purchase right away but having your business consistently show up in their search results could be a good prompt for them to contact you when they’re ready. Whether you have an online business, a bricks and mortar store or a service business, you’ll benefit from an SEO strategy that consistently delivers free traffic to your website. Learn more about the basics of SEO or chat to our online solutions advisors about launching your SEO strategy.